He who said bathroom is where you spend the most creative minutes of your day, must be a very wise man. If you ask me, I would immediately agree to the phrase considering the fact that we spend so much time sitting here. You need to have proper maintenance schedule for your bathroom and should not hesitate whenever you feel a remodelling is needed. If you already have decided on a bathroom remodelling, there are some issues I would like to discuss that will help you achieve the best result. Make a to-do list: Redoing the tiling? Thinking of adding another sink? Building up the shower screen? Moving walls? Cabinets? Whatever is in your mind, make a list of it including even the minor alterations. Mapping it out beforehand enables you to take better decisions regarding the project. Is the clock ticking? Think of the time frame you have for the project. If there are other bathrooms in the house you can use and there is abundant time, you can try doing parts of the remodelling project yourself, but if you are in a rush, then going for professional would be the smarter choice here. Let the ideas build up: With innumerable ideas floating around the internet, finding inspiration for your project should not be a problem. Run a search and collect ideas you love. Figure out what you love about them, share these with an expert and discuss if these ideas will suit to your home structure. Making the budget: Now that you have decided on the stuffs going to be done to your bathroom, make a budget. Do realise that things come up in bathroom remodels, so giving yourself some wiggle room would be better. Seek for expert help: Finding the right help for a job is almost like an art. 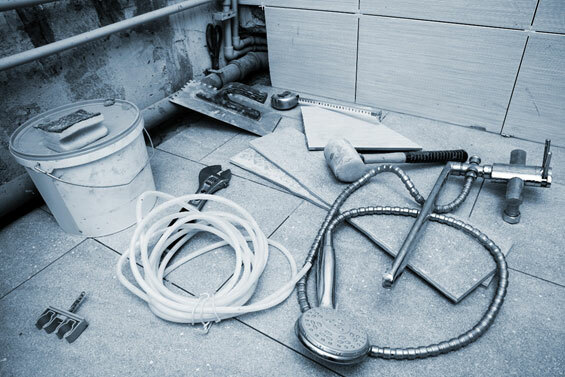 There are various types of works involved in bathroom remodelling. You might need help in plumbing or the electric work, or the flooring; learn where you can find help. Ask your friends and family if they can refer to professional builders, if not, run a search in the internet and shortlist the ones you like. Attention to details: Don’t forget about the small things while worrying about the giants. Whether you are doing it yourself or hired a professional, be meticulous about what you want. Where do you want outlets? Where do you need lights? How high do you want the lights? How many mirrors? Where do the light switches go? Where will towel bars hang? Consider no issue minor enough to overlook. How to pick out the materials for the job: Do active monitoring while shopping for the materials. The shape, the colour, the size, everything contributes to the ultimate look of your bathroom you are aiming at. MTB Carpentry and Construction team has over 15 year of experience in building and construction field. Besides providing excellent building and renovation service ourselves, we can also arrange trusted tradesman from any sector so you don’t have to stress yourself out about finding a decent one.